The York County Bar Association and its charitable arm, the York County Bar Foundation, aspire to build the organizations’ capacity for leadership and service to improve the legal profession, the community they serve and the administration of justice in society. If you are an attorney interested in networking and professional development opportunities, please check out the For Members tab to learn more. R eflections at Journey’s End: A compilation of Memorial Minutes from 1850 – 2017 is now available as a four-volume set or individual books. They are available in hard cover or paperback editions, as well as e-readers. Special one-time offer of a discounted price on orders for all four volumes (save 30-40%! 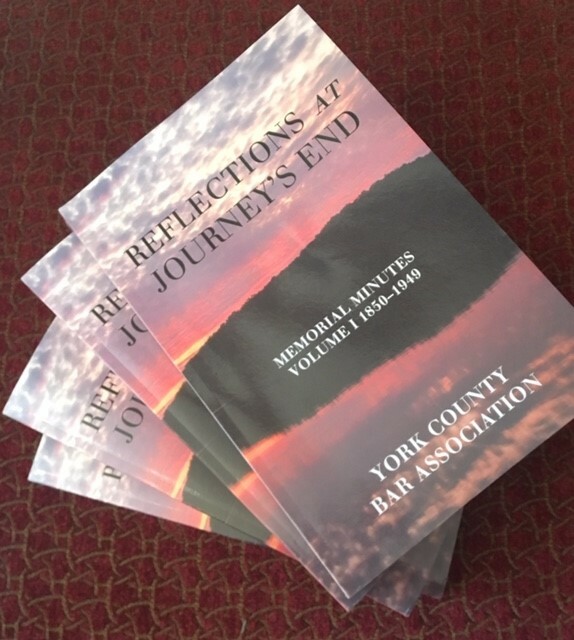 ), via the York County Bar Association (to be delivered to YCBA and picked up by customers) are: set of 4 soft cover $65; set of 4 hard cover $120. To order call 717-854-8755 or email info@yorkbar.com. The discounted price is available while supplies last. Customers must pick up the books at the YCBA office, 137 E. Market St., York. Estimated delivery will be in early May. 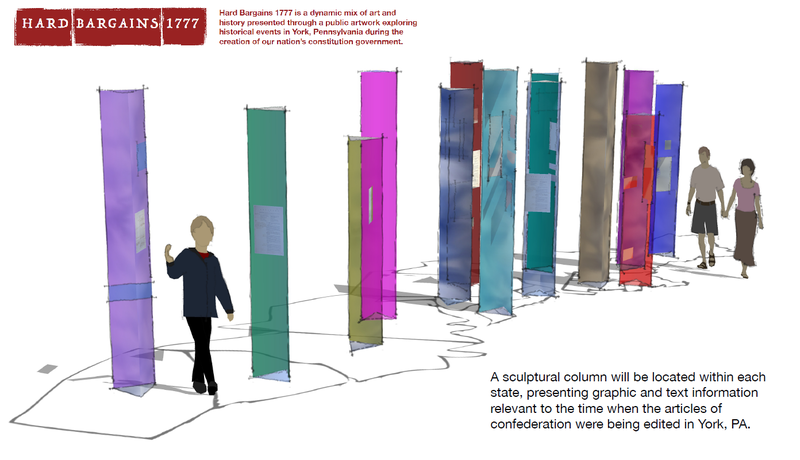 Donate now to support Hard Bargains 1777 - a unique public art project celebrating the creation of the Articles of Confederation in York - click on the image below! For information about the project click here. Do you need a York County lawyer? Click here to see how we can help! Copyright © 2013. York County Bar Association and Bar Foundation of Pennsylvania, USA. All Rights Reserved. Questions? Call 717-854-8755.